This non-evasive, safe, FDA Approved Fat Removal Treatment is changing the way people consider removing body fat. Why have surgery with needles and a difficult recovery period when you can have the fat frozen and removed by the Coolsculpting Treatment? Coolsculpting by Zeltiq is a non-surgical contouring treatment that freezes the fat that diets and exercise cannot remove. There is no downtime, no surgery and no needles. It is FDA Approved and you can return to work straight after the treatment. With some other treatments, you would need to take at least a few days, if not few weeks off your work. There is proven scientific research that this is a permanent fat reduction solution, the fat cells are reduced and the body eliminates them naturally. The first consultation is free, we offer this to meet with you in person and by looking at the area (you wish treated) and discussing your lifestyle and medical history, we can advise if we feel this would give you potentially the results you are looking for. The procedure itself takes 1 hour per area treated, the applicator is placed directly onto the skin and it freezes that area. We can stay with you throughout the procedure, it is uncomfortable but not painful. After the treatment, you will feel the area tender, but that is to be expected. As an alternative to surgery, it is truly amazing. Some of our patients see results within 4 weeks, however we advise to wait until 8 weeks to assess your body. The high impact results can normally be seen within 90 days. The treatment itself is suitable for upper arms, inner thighs, back fat, chin area and it is successful in male breast reduction. If we do not feel the treatment is right for you, we will advise. We have a reputation for being honest with our patients and giving good advice for health and wellbeing. 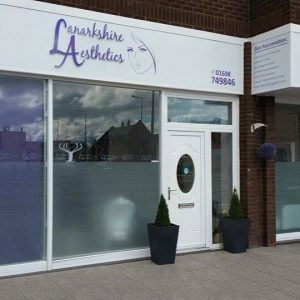 The Definition Clinic have a clinic within Lanarkshire Aesthetics, 311 Main Street Bellshill ML4 1AW. We offer flexible appointment times, so please do make contact with us to make an appointment time.